Twitter is an amazing social media site with 320 million clients making it a worthwhile site to engage with as a business. One of the strongest points for a company to involve with is the amount of customer engagement that is available to as a company which is key for creating sales. 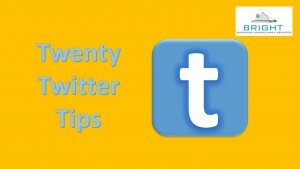 Below is a list of 20 tips from around the web to help you get the most out of twitter. If you’re not seeing results, it’s probably not twitters fault, it’s how you’re using it. That’s ok. Re-evaluate why you’re there and apply. Remember Twitter may not actually be for your company. The key to using twitter is to help people and develop a relationship with your customer and provide a service. Create a dialogue with your followers, don’t just push promotions about your brand in their face. Twitter is a conversation. Take some time to listen to what is going on and respond, don’t just talk at people communication is a two-way street. 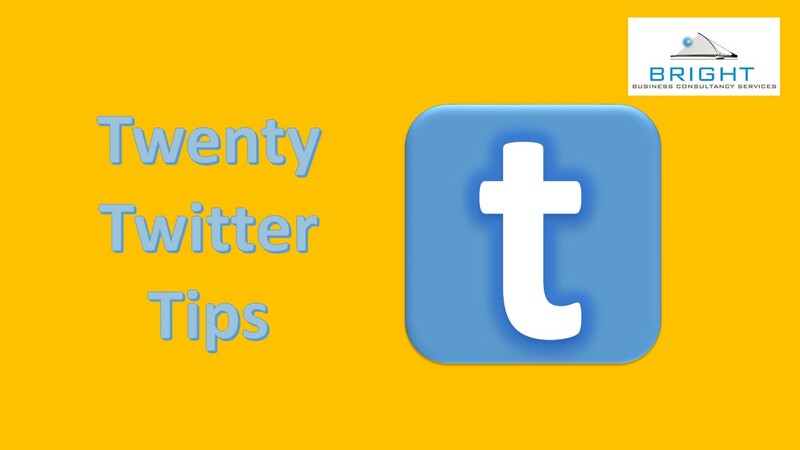 Use Twitter as way to grow your networks on other social media channels. It can be the hub of your social media wheel, each channel is a spoke. Don’t get caught up in the numbers game. 100 relevant followers on Twitter is worth more than 1000 followers any day of the week. learn how to RT (re- tweet) it not only helps you stay active, but lets people know what you are interested in it also shows that you are open to share other peers points on a point that you may be an expert in but it provides a service to your customer. Be yourself on twitter. People will either love you or hate you for it but at least it’s you this is honesty and transparency people don’t like false and cloudy. Find the perfect balance between the quantity of your tweet versus the quality this is a lot about testing and what works for your audience. If business has taught you anything is that you have to pick a content niche. Content is king APPLY that to Twitter. Get involved in networking groups on twitter. Do not create another data silo. Connect to a CRM (customer relationship management system) there are loads of them. Twitter is a conversation about your business/industry whether you’re there or not. Your choice. I might be crazy enough to believe Twitter can lead Social Awareness movements. So lead people to be involved with your content. DONT BE STUCK UP! Talk to the people who took time to mention you, follow you, and/or DM you. Take 5 min daily to reply/retweet others, nothing about you. Engage, interact, build. Twitter works best when integrated. Use it to supplement blogging, email, mobile, and other social media efforts. Promote your twitter name, I have a link to my twitter profile in my email signature, on my business cards, and at the end of all of my posts. Stay tuned for more tips and advice. This entry was tagged Bright Business, Business Development, eCommerce, social media, Tweeting, twitter. Bookmark the permalink. ← Which social media do I need ?